The School of Information Sciences offers over 25 scholarship opportunities for students. 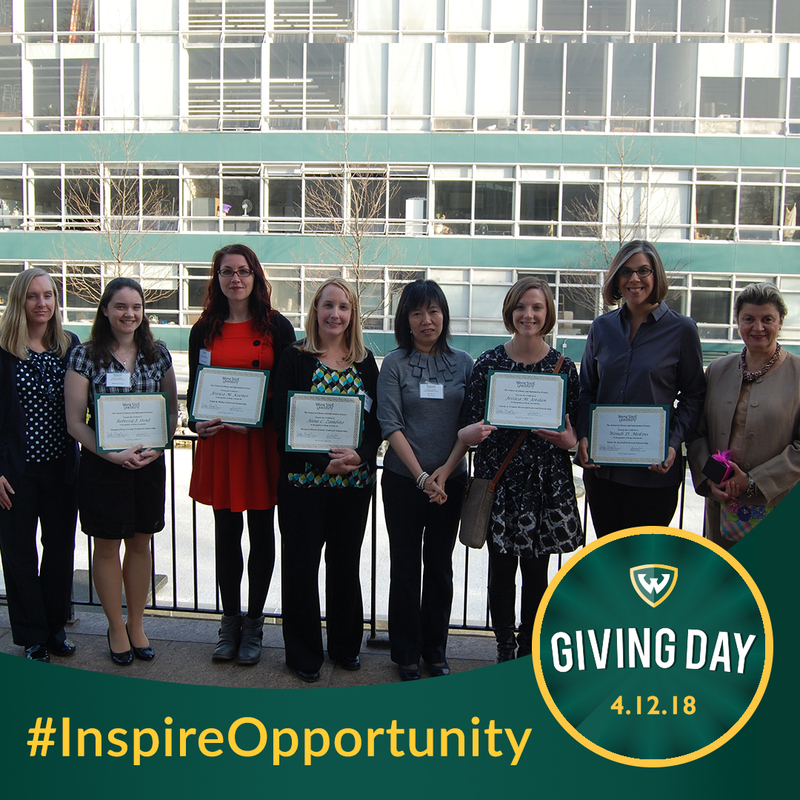 On April 12, 2018 Wayne State University Giving Day will provide donors with an opportunity to support SIS and the scholarships provided to students. If you choose to participate in Giving Day, consider donating to our General Scholarship Fund or a specific scholarship. Learn more about Giving Day and the ways Wayne State University is building community to #InspireOpportunity on the Giving Day web page. Watch the SIS Blog, Facebook and Twitter accounts for featured scholarships and students on April 12!